Herniated disc is a condition in which the soft, gel-like center of the disc (nucleus pulposus) has pushed out through the disc's tough, outer ring (annulus fibrosus). Besides, bony out growths also known as bone spurs or bone osteophytes are formed due to the accumulation of calcium in the spine joints. The pressure induced by a herniated disc or bone spur on nerve roots, ligaments or the spinal cord may cause pain in the neck and/or arms, numbness or weakness in the arms, forearms or fingers, and lack of coordination. Sometimes, spinal fusion may also be done along with cervical discectomy which involves placing bone graft or bone graft substitute between two affected vertebrae to allow bone to grow between the vertebral bodies. The bone graft acts as a platform or a medium for binding the two vertebral bones, and grows as a single vertebra which stabilizes the spine. 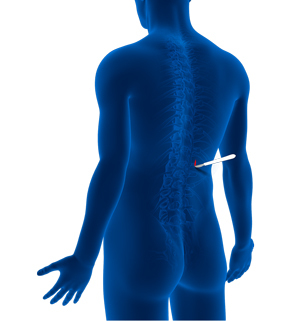 Spinal fusion also may be performed through the minimal invasive approach using "tubes". A specific post-operative recovery/exercise plan will be given by your physician to help you return to normal activity at the earliest. After surgery, your symptoms may improve immediately or gradually over the course of time. The duration of hospital stay depends on the treatment plan. In a few instances, surgery may also be performed on an outpatient basis. You will be able to wake up and walk by the end of the first day after the surgery. Your return to work will depend on your body's healing status and the type of work/activity that you plan to resume. Discuss with your spinal surgeon and follow his instructions for optimized healing and appropriate recovery after the procedure.